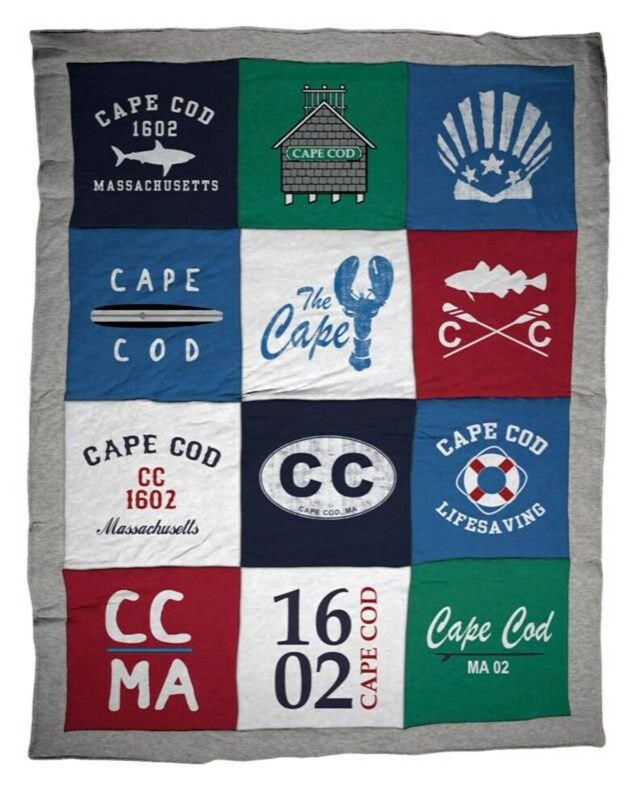 Our Cape Cod Destination™ Classic Blanket! 62" x 80" 100% cotton, polyester filled, comforter. Made of soft and durable sweatshirt material this is a 12 panel stitched blanket with border. For lovers of this great location, the Cape Cod blanket tells a story of this popular Massachusetts destination. If you looking to wrap yourself in Cape Cod all the time this blanket is for you! Bring Your Vacation Home! My apologies for the delayed review- this and the "matching" coasters made a beautiful and unique gift for my boss who retired and has a house in Nantucket. Quick shipping and a great gift for someone who has everything!! This blanket is more beautiful in person!!! This is beautiful! Giving it as a Christmas gift. She will love it. Quick shipping. 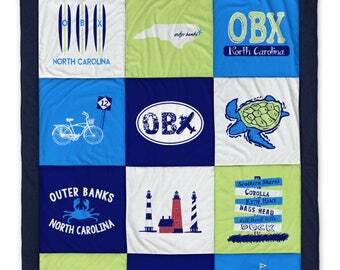 Love it - was a wedding gift for a couple that got married on ACK!